This masculine design looks like a restaurant logo, but is actually fully customizable with your 3 lines of custom text. This vintage inspired design looks like it could belong on a turn of the century, family owned restaurant, or a heritage sauce company from 1950's America- but in reality, it's a fully customizable print. 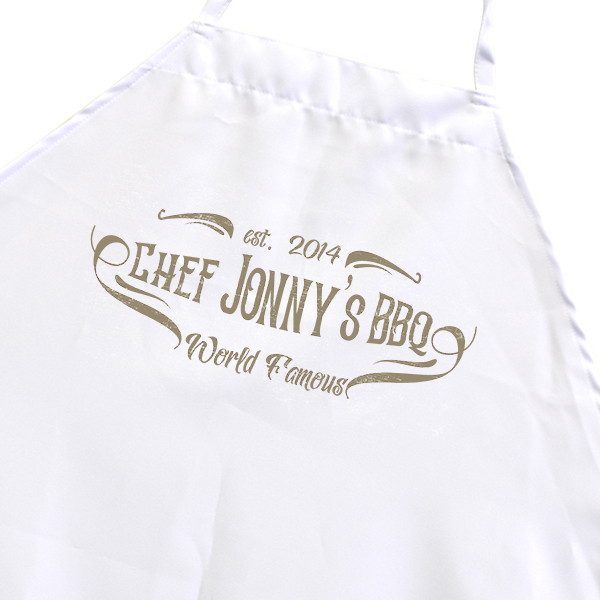 Change the top, middle, and bottom lines to three lines of text (we recommend smaller lines do not exceed 20 characters) and give this one-of-a-kind cooking accessory as a gift to your favorite pit-master. Order now and yours ships in 3 business days.